Q: Apple Music on Apple TV 3? Is it possible to get Apple Music on Apple TV 3? I can stream to it from my iMac, but it would be nice to be able to launch Apple Music from TV directly... Evgeniy Krechun asked on the famous Q&A website Ask Different. We can learn from the Apple website: If you subscribe to Apple Music, you can download songs, albums and playlists for offline listening on Apple TV with Music app. But it requires Apple TV (4th generation) or later. That's to say, Apple Music is not supported on the 3rd Generation Apple TV or earlier. 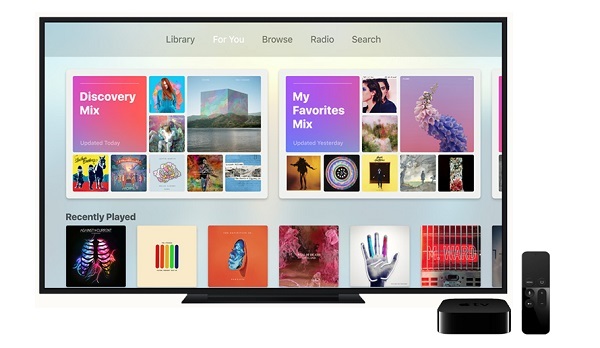 So can we get Apple Music on all models of Apple TV? 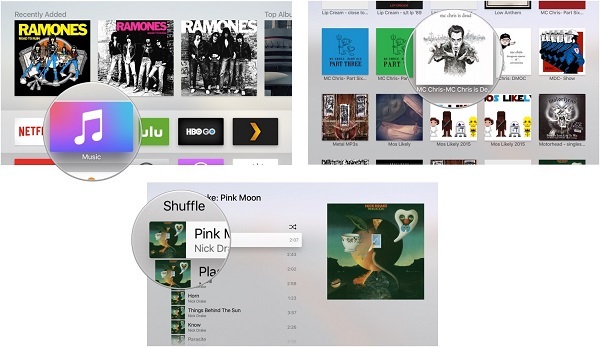 Don't worry, we will the issue on how to play Apple Music on Apple TV in two solutions. Apple's latest Apple TV offers the Music app. With Music app, you can not only listen to all your own music collection through iCloud Music Library in the My Music section, but also access all the tracks made available through that service, including radio stations. 1. Open the Music app on Apple TV. Once you've subscribed to Apple Music, you need to log into your Apple TV using the same Apple ID as used for your Apple Music account in Settings > Accounts. 2. You can then enable the service on your Apple TV in Settings > Apps > Music, where you should turn on iCloud Music Library in order to access all your own music on the system. 3. Now you can find an artist, song, or album to play. If you have an older Apple TV model, and you will find there is no Music app on it. If you want to play Apple Music files on this kind of Apple TV, what should you do? Simply, you can stream music collections held on other Apple devices around your home using the Home Sharing feature, but if you want to listen to Apple Music tracks, you need to stream them to your TV from a compatible device, such as an iPhone, iPad or Mac using AirPlay. All the solutions require an apple music subscription. If you'd like to cancel your subscription, any streaming music you've added to your library from the Apple Music catalog will no longer be playable. So is it possible to save Apple Music songs before your Apple Music subscription ends so that you can play Apple Music song on all models of Apple TV anytime? 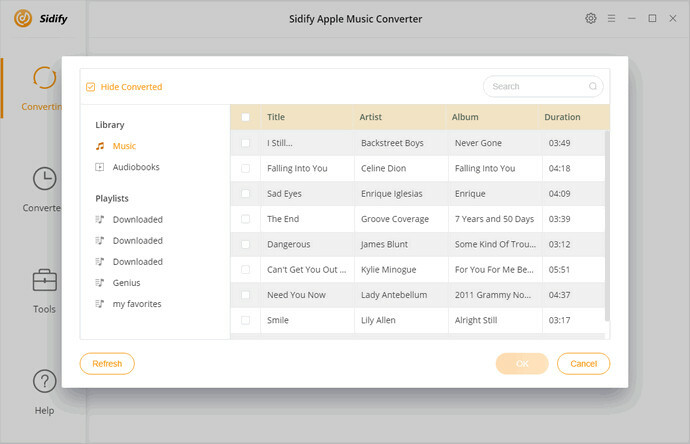 Sidify Apple Music Converter is designed for Apple users. 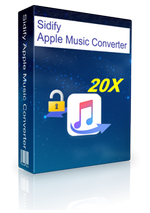 It is an all-in-one Apple Music Converter as well as DRM Removal software. 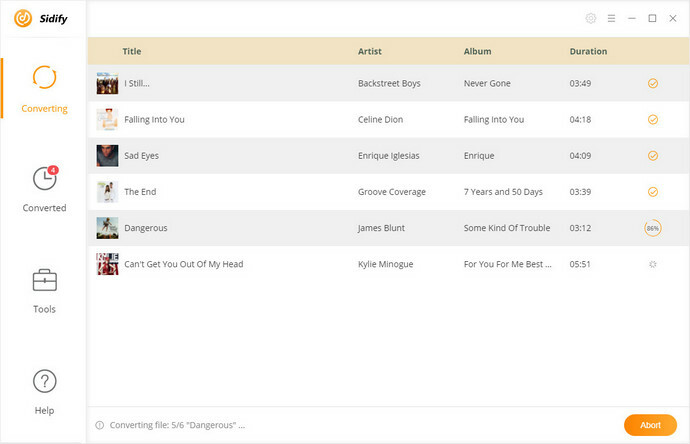 With it, you can convert the downloaded Apple Music songs to MP3, AAC, FALC and WAV with original output quality. Thus, without Apple Music subscription, you can also save your Apple Music files and easily sync them to Apple TV with Home Sharing. 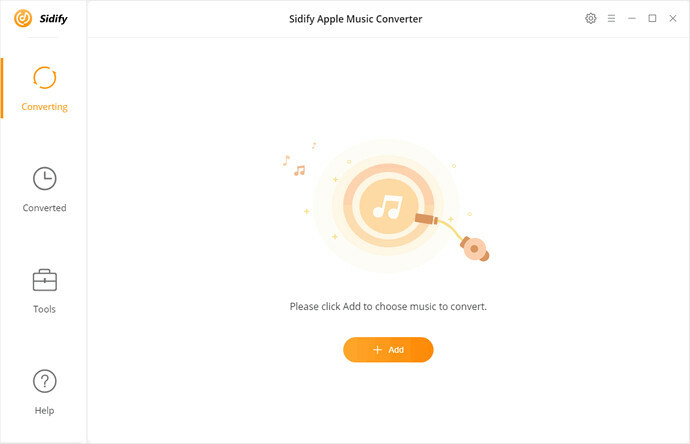 Now you can download the latest version of Sidify Apple Music Converter and follow the detailed guide below to learn the Apple Music to Apple TV conversion process. The program is compatible with Mac and Windows platforms. Here we will illustrate how it works with the Windows version. Firstly make sure that you have already downloaded and authorized the Apple Music songs on your iTunes. Click + button, iTunes library window will pop up. And then you can select the downloaded Apple Music files you'd like to convert to the program, then hit OK.
Apart from Apple Music songs, Sidify Apple Music Converter can also support converting iTunes purchased songs, iTunes and Audible audiobooks. Click Settings gear icon on the top right of the user interface, you can set MP3, AAC, WAV or FLAC as output format. 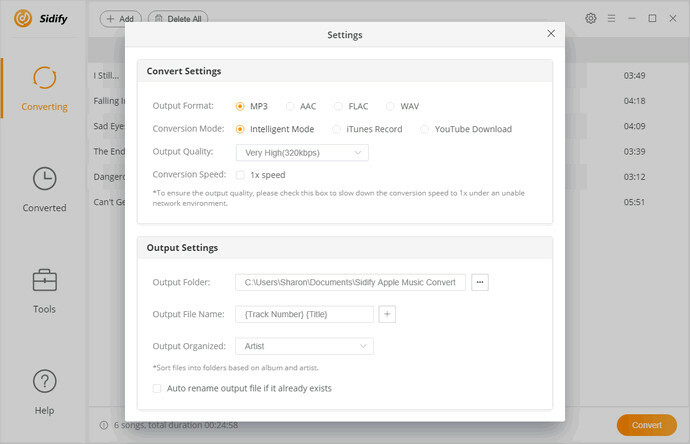 Click Convert button, the program will start to convert Apple Music automatically. After conversion, you can locate the DRM-free Apple Music files in the history folder. After conversion, you can import all the converted Apple Music songs to iTunes, and then stream those DRM-free Apple Music songs to Apple TV using Home Sharing. The main steps are as below. On your Apple TV, go to Settings > Accounts > Home Sharing, and select Turn on Home Sharing, then enter your Apple ID and password. Use the same Apple ID for your computer on your Home Sharing network. Now you can use Home Sharing to stream music from computer to all models of Apple TV.